Train door control buttons. 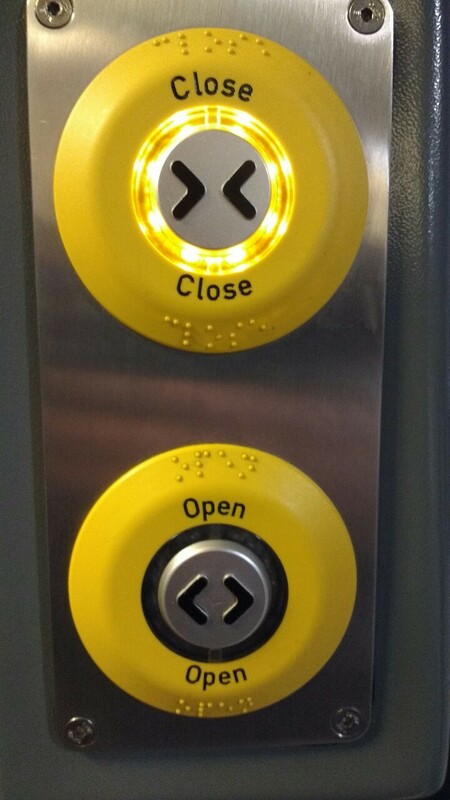 Doors close automatically, so why put the close button at the top and make them so similar? And how does the colour coding help?